You have heard of "Running of the Bulls" well this is Alaska's answer to that. 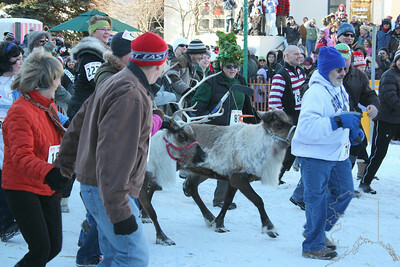 It is held every year at Fur Rondy. 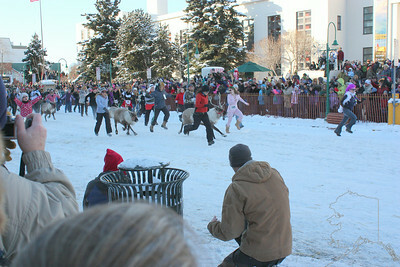 "Running of the Reindeer"
You have heard of "Running of the Bulls" well this is Alaska's answer to that. 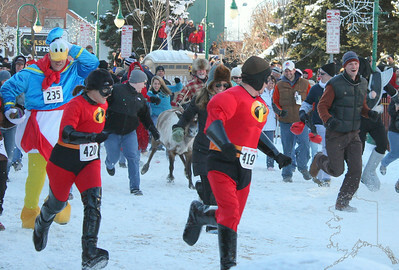 It is held every"Running of the Reindeer" year at Fur Rondy.